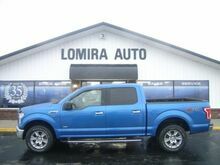 Running Boards, Back Up Camera, Trailer Tow, Keyless Entry, Tonneau Cover 4WD. Odometer is 7951 miles below market average! 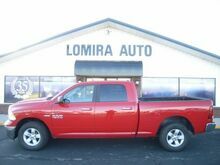 Remote Start, Back Up Camera, 4WD, jet black Cloth. CARFAX One-Owner. Odometer is 7641 miles below market average! Clean CARFAX. 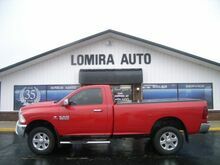 Crew Cab, HEMI 5.7L V8 Multi Displacement VVT, 4WD, Flame Red Clearcoat. CARFAX One-Owner. Priced below KBB Fair Purchase Price! 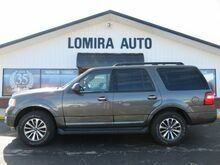 Alloy Wheels, Running Boards, Cruise Control, Back Up Camera, Keyless Entry, Third Row, Gray, Black, 4WD. Odometer is 5878 miles below market average! Clean CARFAX. 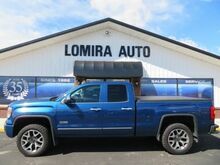 Bed Liner, Running Boards, SuperCrew, 4WD, Blue Flame Metallic. Clean CARFAX. 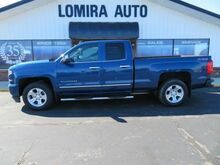 Remote Start, Tow Package, Alloy Wheels, Running Boards, Cruise Control, Gray, Back Up Camera, Leather Seats, Heated Leather Seats, Cooled Leathers Seats, Bedliner, Air Conditioning, Keyless Entry, Traction Control, Seat Memory, Grey, 6-Speed Automatic Electronic with Overdrive, 4WD, Gray Leather. Odometer is 2712 miles below market average! 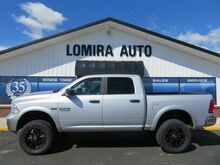 5.3L V8, 4WD, Summit White, black Leather, Hill Descent Control, Leather Wrapped Heated Steering Wheel, LTZ Plus Package, Off-Road Suspension Package, Power Adjustable Pedals. CARFAX One-Owner. Odometer is 6461 miles below market average! Clean CARFAX. 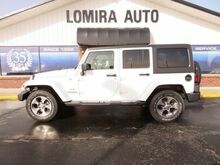 4WD, Keyless Entry, Silver, Alloy Wheels, Back Up Camera, Traction Control. Clean CARFAX. 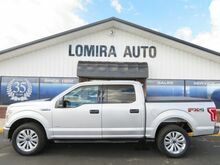 Back Up Camera, Silver, Alloy Wheels,6-Speed Automatic Electronic with Overdrive, 4WD, Black, ABS brakes, Alloy wheels, Compass, Electronic Stability Control, Heated door mirrors, Illuminated entry, Low tire pressure warning, Remote Keyless Entry, Remote keyless entry, Single Slot CD/MP3 Player, Traction control. Odometer is 10122 miles below market average! Clean CARFAX. 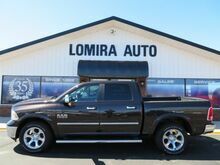 Spray In Bed Liner, Running Boards, Remote Start, 6-Speed Automatic Electronic with Overdrive, 4WD, jet black Leather. CARFAX One-Owner. 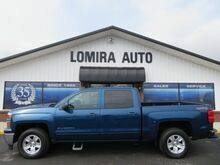 Remote Start, 6-Speed Automatic Electronic with Overdrive, 4WD, Black, 1st & 2nd Row Color-Keyed Carpeted Floor Mats, ABS brakes, All-Terrain Package, Auto-Dimming Inside Rear-View Mirror, Bed Liner, Body Color Front Bumper, Body Color Rear Bumper w/Cornersteps, Body Colored Grille Surround, Chrome Bodyside Moldings, Chrome Door Handles, Chrome Mirror Caps, Compass, Dual-Zone Automatic Climate Control, Electronic Stability Control, Emergency communication system, Floor Mounted Console, Front Frame-Mounted Black Recovery Hooks, Front Halogen Fog Lamps, Front Power Reclining Bucket Seats, Halogen Projector Headlamps w/LED Signature, Heated door mirrors, Hill Descent Control, Illuminated entry, Low tire pressure warning, Off-Road Suspension Package, Power Folding & Adjustable Heated Outside Mirrors, Rear Vision Camera w/Dynamic Guide Lines, Remote Keyless Entry, Remote keyless entry, Single Slot CD/MP3 Player, Traction control, Trailering Equipment, Wheels: 18" x 8.5" Bright Machined Aluminum. Odometer is 17033 miles below market average! Clean CARFAX. 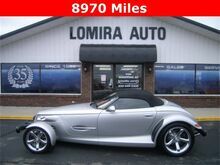 2D Convertible, Prowler Silver Metallic Clearcoat/Black Soft Top, Agate w/Leather Trimmed Bucket Seats, Compass, Illuminated entry, Low tire pressure warning, Remote keyless entry. CARFAX One-Owner. Odometer is 3702 miles below market average! Clean CARFAX. 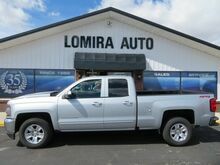 Running Boards, Remote Start, 6-Speed Automatic Electronic with Overdrive, 4WD, Black,Gray,Bed Liner,Tow Package, Back Up Camera,. Odometer is 2656 miles below market average! Clean CARFAX. 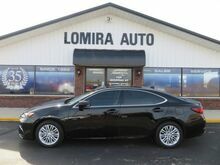 Remote Start, Back Up Camera, Remote Start, Red Exterior, Power Seat, Tow Package, Dual Climate Control, Wireless Charging, Bose Sound, Heated Steering Wheel, 6-Speed Automatic Electronic with Overdrive, 4WD, cocoa Leather. CARFAX One-Owner. Odometer is 17735 miles below market average! Clean CARFAX.